The title is not meant to be a joke. In all reality, getting a disorderly conduct charge is not all that difficult, especially if police do not know what else to go with. There are plenty of reasons a person could be charged with disorderly conduct and we will look at the law and some examples in a moment. We do want to say this – just because you may not think a disorderly conduct charge sounds serious does not mean it cannot have serious consequences. 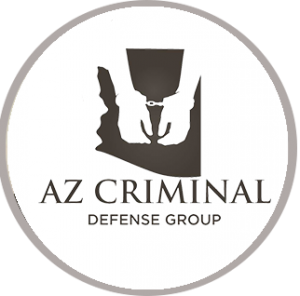 If you are here today because you or someone you know is facing disorderly conduct charges, we advise you to seek help from a qualified Arizona defense attorney. These charges can leave a stain on your reputation and it is in your best interest to fight them in court. Recklessly handles, displays or discharges a deadly weapon or dangerous instrument. Okay, digesting that is hard because you can see just how many scenarios can put you in violation of the law. Not only does it cover a range of actual physical violence, but you can see that many non-physical factors can land you in jail as well. It is easy to see how law enforcement can justify arresting someone for disorderly conduct. The law gives them plenty of discretion. We can imagine, and have dealt with, a wide range of scenarios when it comes to people being charged with disorderly conduct. You are at a bar with some friends and you get into an argument with another group in the bar over the game on TV. It gets loud, you tell the guy to…well…let’s just say your language could have been better. This could land you a disorderly conduct charge, even if you never got violent. You and a group are protesting a government action or inaction, something that should be your right to do under the US Constitution. 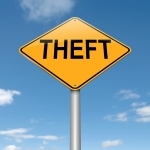 However, a business owner claims you are preventing him from conducting normal business operations. Suddenly, you find yourself with a disorderly conduct charge. We could go on, but you see the point. It is easy to get a disorderly conduct charge. 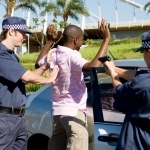 The penalties for a disorderly conduct charge in Arizona can be severe. Usually, these charges will result in a Class 1 Misdemeanor. 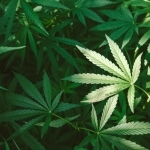 This could lead to a maximum of 6 months in jail and up to a $2,500 fine as well as probation. These charges could also result in Class 6 Felony charge that has much more serious consequences. This carries a possible two-year prison sentence for non-dangerous offense and up to three years for a dangerous offense. 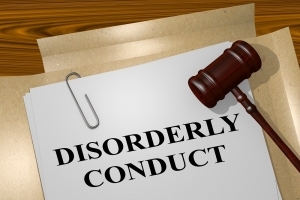 The first thing to focus on if you have been charged with disorderly conduct is finding a defense attorney in Arizona who understands the laws and can formulate a strategy to get the charges dismissed. 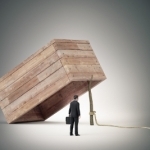 There is too much at stake, even beyond the prescribed penalties. Your reputation, ability to get a job, and more can all be affected by a disorderly conduct charge.